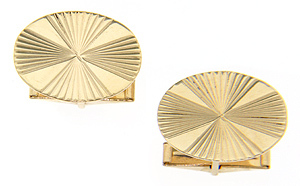 Engraved lines radiate from the center of these oval vintage cufflinks like sunbeams. 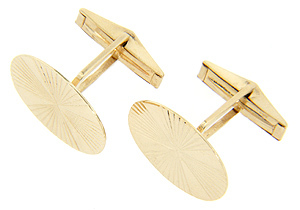 Crafted of 14K yellow gold, the cufflinks measure 13/16” by 5/8”. Circa: 1950.